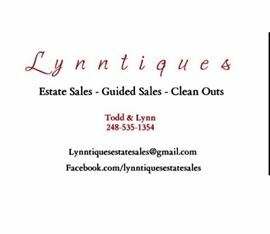 AddressThe address for this sale in Chelsea, MI 48118 will be available after 9:00am on Wednesday, June 5th, 2019. All sales are final, no returns or no exchanges. All items are sold as-is. Cash and credit cards accepted. No warranties on items, not responsible for any accidents or damage to visitor's/customer's property. Enter at own risk. No street numbers. Sign up sheet will be by entrance. Lots of antiques and collectibles in this quaint cottage.